Even though i waited 45 minutes, Dr Goldansky is absolutely worth the wait. He is the very best Doctor I've beenblessed to know. Even though i waited 45 minutes, Dr Goldansky is absolutely worth the wait. He is the very best Doctor I've been blessed to know. I've gone to numerous primary care physicians over the years, but Dr. Goldansky is by far the best. He is thoughtful,caring, and listens to his patients. I cannot recommend him highly enough. I've gone to numerous primary care physicians over the years, but Dr. Goldansky is by far the best. He is thoughtful, caring, and listens to his patients. I cannot recommend himhighly enough. 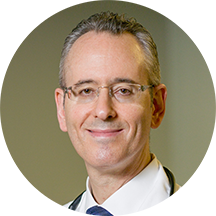 Alvin Goldansky, M.D., is board certified in internal medicine. He is a graduate of Universidad Nacional Autonoma de Mexico, in Mexico City and finished his internal medicine residency at LaGuardia Hospital, New York City. Dr. Goldansky is fluent in both English and Spanish. Outside of practicing medicine, his interests include jazz and gourmet cuisine. Dr. Goldansky is straight to the point, come prepared! I love that in a doctor, give me all the facts. He goes fast, so ask questions. The more you know about yourself, the more he can help. I loved him and am thrilled with my new doctor! Very informative and knowledgeable. He listened and didn't talk over me. A very refreshing change from my previous experiences with doctors. Very professional. Didn't rush me. Showed genuine concern and made me feel very comfortable. Staff was AWSOME and the Dr was great. Professional. Will recommend. Alvin made me feel comfortable and was informative. Dr Goldansky is the best doctor I have even been to. Not only that, he is a great person. He became my primary care physician last year and I cannot say enough great things about him. Very awesome visit. He's a good listener and he's very professional. He is my primary care physician and he is always on time and always very helpful. You can almost always get same day appts (if not you can get in with somebody else in the office) and if you have problems/questions the office staff calls back very quickly! I love Dr Goldansky. I've never had a PCP. Now that I'm older I'm glad I found him. He is a wonderful Doctor. I was a first time patient. The front office staff had no idea that I had used zocdoc and was terse and almost rude when I stated that was how I had made the appointment. The wait time was a goodhour before I was shown a room and then another 30minutes before the doc showed up. Dr. Goldansky spent most of the appointment trash talking the pharmacy I use and seemed more interested in pushing a new drug onto me than working with me on what I had been using. My experience was not good and I wouldn't recommend this office. He was polite. I have Fibromyalgia and Neuropathy a Osteoarthritis and i am in Pain every minute of my life is Pain and I am not able to enjoy life because of the Chronic Pain and he offered me Prescription AntiDepressants ! I am Not Depressed I Am IN Pain . Very very satisfied. Awesome Doc. I really liked him and the time he spent with me. However, I would have preferred to be told ahead of time that my physical would not be done as a first visit and as requested. Great I really like the Dr.! Thorough, intelligent, listens to your concerns. Definitely my new PCP. I thought he was very through. I especially liked his manner, he listened to what I had to say and spoke with me not to me. He was genuine in his interest in my well being. This practice know how to treat patients right! First time seeing Dr. Golden. Highly recommendable. Very calm and courteous. He made me feel very comfortable. I am new to the state so I was taking a risk on going to a Dr without a referral from someone but I was very pleased with my experience! I have found my new family doctor. Very professional. the staffwas very nice and I was in and out in now time. I would highly recommend Dr Alvin to others! It was fine. Except there was a problem in booking the appointment as it appeared cancelled in their system. Great listener a thorough explanation and assists with peace of mind. He's a great doctor who always takes the time to listen to all of my concerns. Very thorough doctor who takes the time to listen to you. I highly recommend him. Dr. Goldansky is the best physician who has EVER taken care of me. He cares and it shows. I recommend to anyone looking for an excellent doctor. It was a pleasant experience. He showed concern for my condition and voiced his desire to help me get things under control. He is a no nonsense person. I look forward to my next appointment. So happy that I moved into this neighborhood and got to see Dr. Goldansky! He was incredibly professional, and wanted to hear all of my symptoms, even those that weren't necessarily relevant. Amazing experience with little wait, if any. Very pleased with Dr Alvin Goldansky and staff this was my new patient appointment and was seen at my appt time Dr Goldansky took time to answer my questions.I did not feel rushed. Front desk was prepared with paperwork and whatmy co-pay was and MA was very nice. Will recommend office. Dr. G was extremely knowledgeable, had great advice and bedside manner. Answered our questions, and listened to our concerns. Gave a lot of insight, and suggested more options. Listened to everything I had to say. Honestly addressed all my concerns. I would recommend him! Due to a current bout of bronchitis, I needed to see a doctor quickly. When I arrived, the front desk staff was actually pleasant. I was seen by the doctor in less an 30 minutes. Dr Goldansky is the first practitionerI have seen (outside of an OB/Gyn) in over a decade. He was personable, witty and actually LISTENED to what I had to say. He reviewed medical history with me, performed a basic diagnostic to confirm the numbers the assistant had obtained and to get new ones. He gave relevant suggestions regarding my health (not rote, dismissive info one could get online), tasked me with several items, gave demonstrations, and generally made me feel like I was a human patient, not a number preventing him from getting to the next number in line. I am happily returning in a few weeks for a full physical and I am happy to say I have found my new PCP.